One of the things I like about winter is seeing the "skeletons" of the trees. The silhouette of this tree, one recent morning, was what first caught my eye. 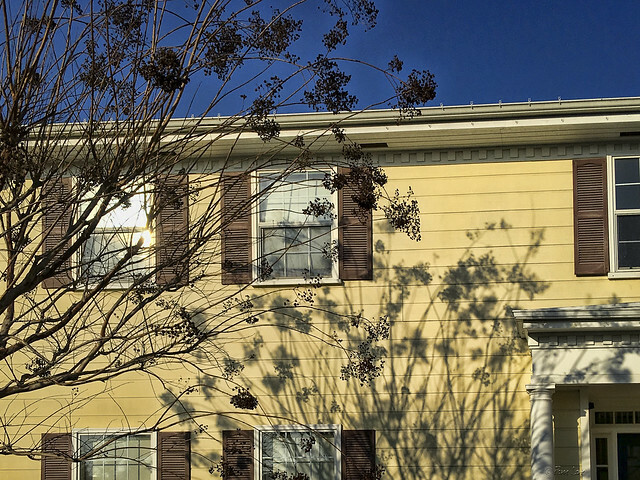 But then I noticed that its shadow on the house was just as intriguing.